The personalized Those We Love Don't Go Away memorial stone is an enduring tribute to a loved one. Our garden stone, crafted in the USA, is made of cast stone concrete and provides the durability and weatherproofing needed for continuous use. so loved, so missed, so very dear." 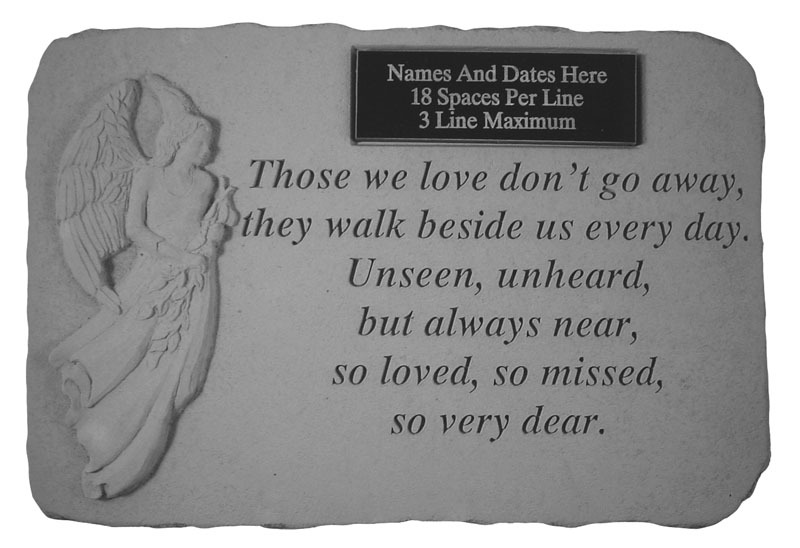 Memorial stone measures 15.25" x 10.5"